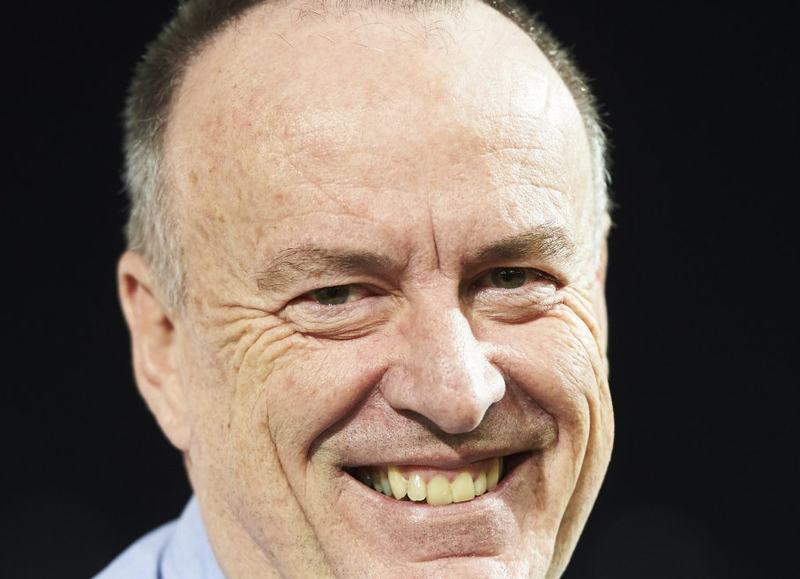 Terry Spargo has been the voice of racing in the United Arab Emirates since 2001. TDN’s Senior Editor Steve Sherack caught up with the native of Australia for a Q&A session as he prepares to call the action during Saturday’s 21st renewal of the $10-million G1 Dubai World Cup at Meydan. The starter has the button! Q: What have been some of your favorite moments behind the binoculars on World Cup night? TS: I think the best clash was in 2004–Pleasantly Perfect and Medaglia d’Oro and that great stretch battle they had, then they reprised in the Breeders’ Cup. That’s one of them, for sure. Electrocutionist in 2006 when the crowd almost brought the grandstand down. Frankie [Dettori] brought him along the big brass hat in the last little bit. The first one at Meydan when Gloria de Campeao prevailed by a nose in a three-way driving finish [in 2010]. And, of course, all of the emotion around Victoire Pisa winning in 2011 just after the Japanese Tsunami. Those are the ones that stick out in my mind straight away. Q: If you could call any of the big races out there, besides the World Cup, which one would it be? TS: That’s a pretty easy question, I’m an Australian. I would like to have a crack at a Melbourne Cup. As a lifelong fan of horseracing–I’ve been doing this job for the better part of 40 years–I wouldn’t mind having a crack at any of them. But if you’re going to ask me for one, I’d suppose it would be having a go at a Melbourne Cup. Q: Growing up in Australia, how were you introduced to racing? Was there a particular age that you knew that you wanted to be a commentator? Q: How did you go about pursuing your career in the announcer’s booth? TS: Through my teenage years in schooling, I kept coming back to the fact that I wanted to be a racing commentator. No one in my direct family was involved with racing. But it always stuck with me and it was something I kept at until I eventually got into radio on a full-time basis. I became a sporting commentator and eventually went on to specialize in horse racing. Q: Advice for any aspiring announcers out there? TS: Practice…practice…practice. That’s the best thing you can possibly do. Opportunities aren’t as prevalent nowadays compared to when I was starting out in Australia, but you just have to keep at it. Q: What do you love most about racing and calling the action? TS: Back in high school, the vocational guidance counselors would ask you what you wanted to do. When I’d say, ‘A racing commentator,’ they’d say, ‘What’s your second pick?’ I think I called my first race over 40 years ago, and it’s just been part of my being for so long. Even when I wasn’t working as a commentator, I’d go to the races and enjoy myself. I’ve just been enthralled by the whole racing scene for most of my life. It’s changed, obviously, and it’s not the number one gambling outlet anymore, but it’s still important to me. I get as much enjoyment from sitting down doing the form–handicapping as you would call it–nowadays as I did, perhaps, years ago. TS: First and foremost, you have to be accurate. When I began as a radio commentator, the coverage was very different, which meant you were a lot wordier than perhaps television commentators are nowadays. I suppose I still am reasonably wordy. The second thing is to try and put a bit of color into it, and at the same time, describe what you’re seeing. Accuracy and good color is what I hope that I do. Q: In terms of preparation, not only for a card like the World Cup, but on a day-to-day basis, how much work goes in behind-the-scenes being an announcer? Does it take a long time for you to memorize the silks for each runner? TS: Believe it or not, a night like the World Cup, the hardest part is dealing with your own nervousness because you’re doing races containing horses whose names you already know. The hardest part is learning the names–you associate the colors of the jockeys to the names. When you’re dealing with new names, then it becomes more difficult. When the 2-year-olds first begin running, you’re dealing with a whole stack of new names that you have to get in your head. You get to a night like Dubai World Cup, or say even the Breeders’ Cup in your part of the world, and these are well-known horses whose names are known to you already. So putting the colors to the names isn’t perhaps as difficult as it may be during a full field of 2-year-olds racing in the early part of the season. But you get the pressure of the fact that this is a $10-million race, a $6-million race, etc., and that these are some of the best horses in the world. That’s where the pressure comes from and describing it to the best of your ability. Q: Any current announcers that you’re a fan of? TS: I suppose I may be a little biased because we both used to work at the same radio station [in Australia], but I think Michael Wrona is a very good caller in America. I’m also a fan of Richard Hoiles and Simon Holt in the UK. Greg Miles and Darren McCauley are probably the two best in Australia at the moment. I do have my callers I like of the present day, but I was lucky enough to grow up in Australia with some very colorful callers. Q: What’s it been like having a front row seat to witness the transition and rapid growth of racing–including the move from Nad Al Sheba to Meydan–in Dubai? TS: It has been quite an experience. When the Carnival first began in 2004, it was something new to run an International Carnival over a period of something like three months, culminating with the world’s richest race night. And, of course, the Dubai World Cup night itself has gotten richer and additional races have been added to it as well. It’s a whole different aura now. Nad Al Sheba was unique and a very good place to go, but it was totally different from Meydan. Dubai World Cup day in itself is a different social event and the racing on World Cup day is much stronger than it was when I did my first one in 2001. It’s been a very interesting journey watching it evolve. When it first began in 1996-97, it was all just about the one race. And it’s continued to evolve since Meydan opened. Q: Are you based in Dubai year round or just for the racing season? TS: Yes, I’m here year round. I’ll go home to Australia for holidays, but I like to think that Dubai is my home now, at least for 10 months of the year. I’ve also lived in Hong Kong for four years and have been here in Dubai for 15 now. It’s different, but once you’ve gotten some practice at it, you get used to it. Q: The return to dirt racing at Meydan has really brought back the Americans to Dubai, including several high-profile runners for this year’s World Cup program. What are your thoughts on the surface change to dirt after the all-weather years? Any preference? TS: It really comes down to what part of the world you’re from. It’s been a plus having the dirt track at Meydan this meeting because we’ve seen horses like Frosted and Kiaran McLaughlin’s other horses, and, California Chrome, arrive early at the Carnival. Only Curlin had ever done that before. So in that light, the dirt’s been a plus. A perfect scenario would be to have three tracks if you could have a complex with grass, dirt, and all-weather, but whether that happens anywhere in the world remains to be seen. There’s a very strong American contingent this year and there are some really talented grass horses lining up to come as well. All in all, we’re looking toward another very attractive Dubai World Cup program.